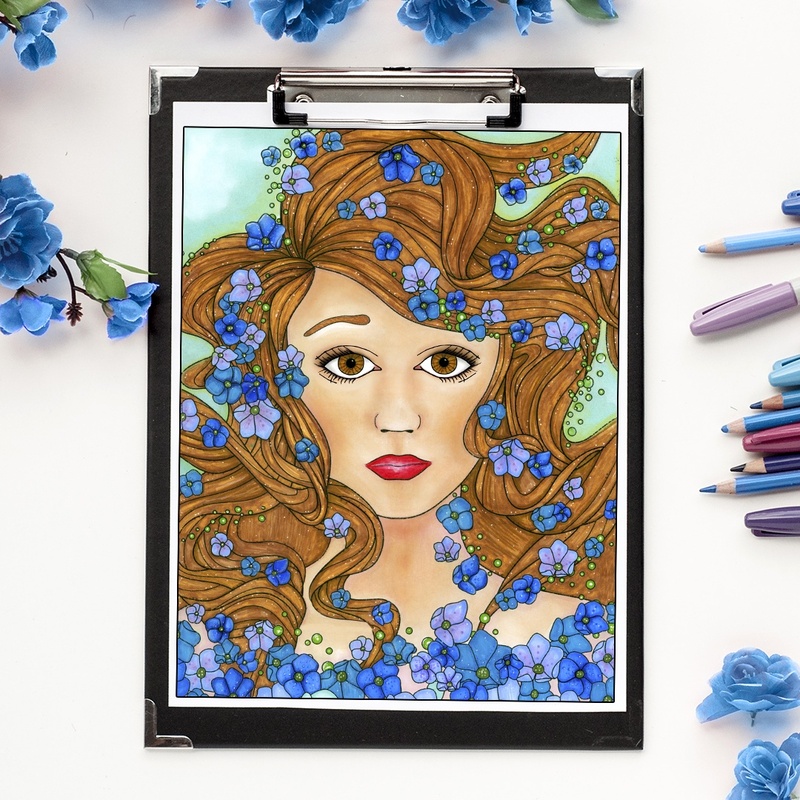 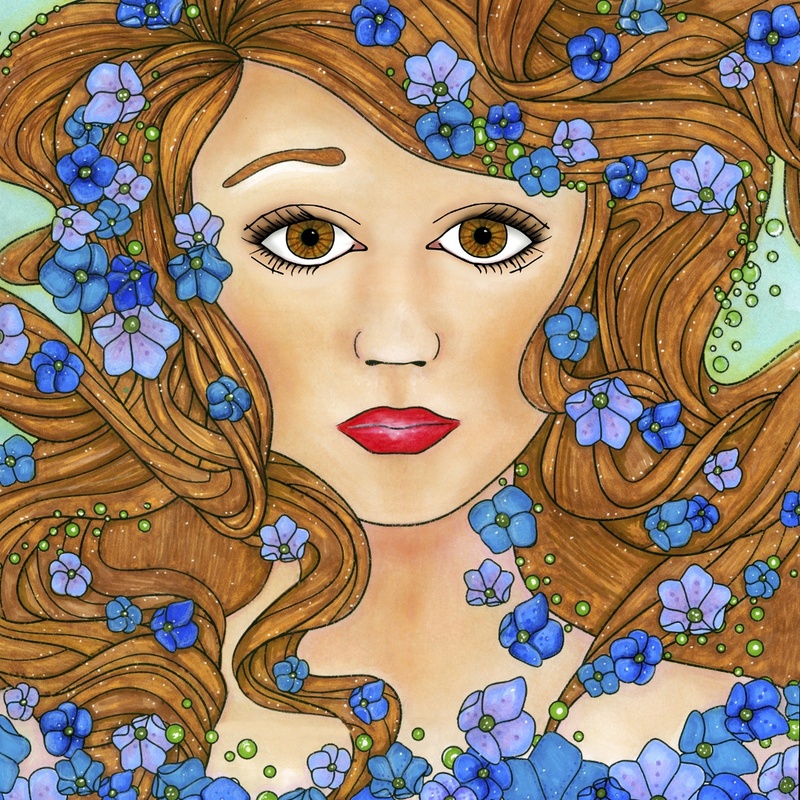 This ocean girl coloring page is a great page to build your skin and hair coloring techniques and really create a beautiful piece of art. 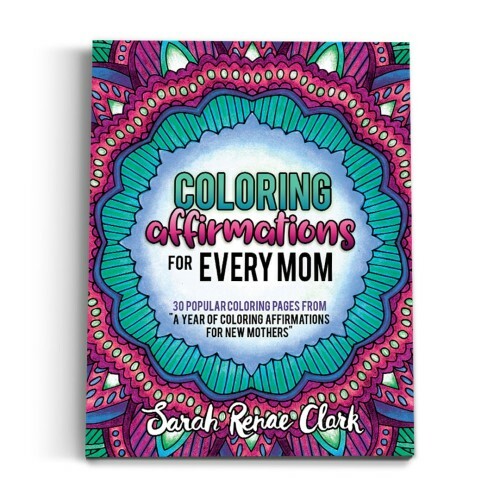 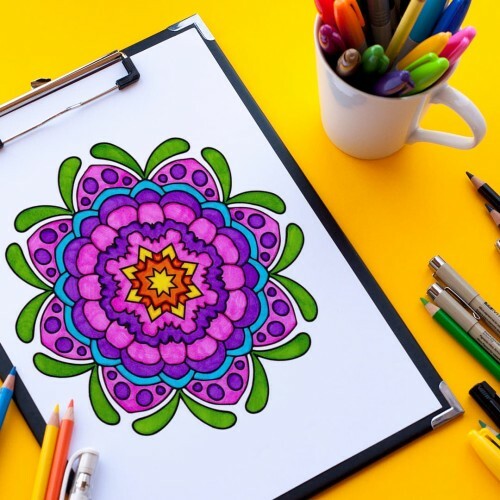 With intricate details and lots of lines to guide you, it’s not as scary as it looks – start with some basic blocks of color and then work on some light shading as you go. 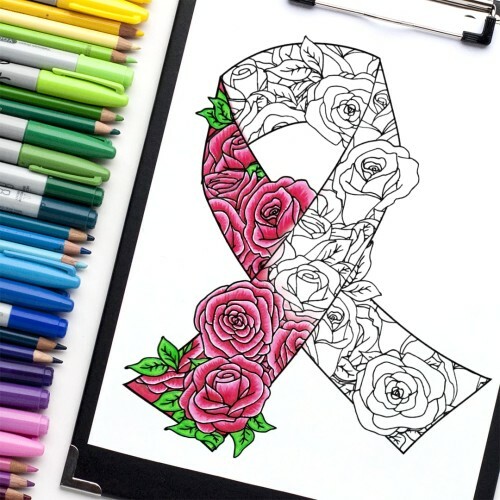 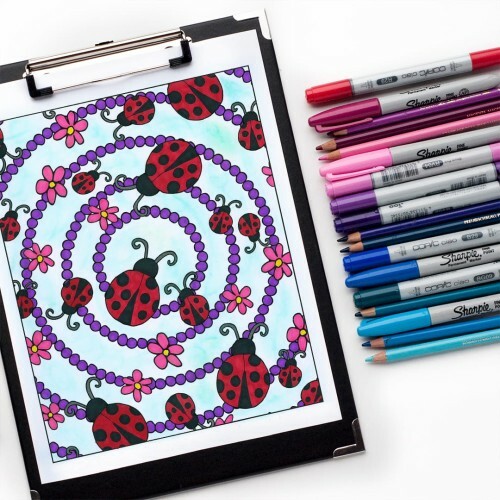 Example coloring page colored by Michelle HH. 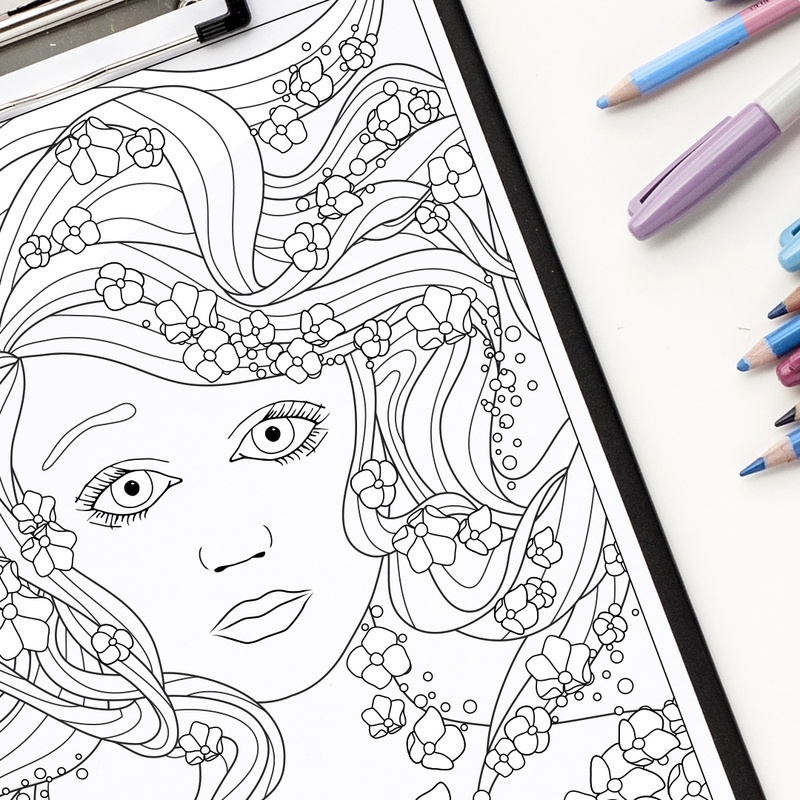 Really beautiful coloring page with clear line art that I can’t wait to color.